We have relationships with faculty at leading universities and industry experts in hedonic regression and conjoint analysis. 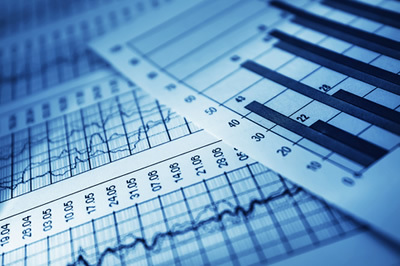 We contribute our expertise in economics, finance, and accounting - along with our litigation experience - to assist outside experts in developing analyses and meeting case deadlines. Hedonic regression is a method for estimating values of different product characteristics. It can be a powerful analytical tool that's beneficial in many contexts. For example, hedonic regression can be used to estimate the value of components and features of a particular product. In patent cases, the Federal Circuit has demanded more rigorous investigation and economic analysis of the value of the specific patented innovation; we see hedonic regression as a potentially useful tool in this regard. Conjoint analysis is a survey method that presents a series of trade-offs to research participants. Analysis of these trade-offs can reveal the value (or "part worth") that respondents place on specific attributes of a product. Similar to hedonic regression, conjoint analysis can be helpful when estimating the value of a product's specific components and features. Please e-mail analysis@litinomics.com to learn more about how LitiNomics can assist your case with hedonic regression and conjoint analysis.